1stAmender - Preface to "Do College Students Engage in Risky Behaviors?" "Tanorexia" is an informal term (a combination of "tan" and "anorexia") that refers to the habit some people have of going to the tanning salon too often—as often as one hundred times a year. Although tan skin can be acquired with lotions and makeup, some people insist on using tanning beds despite the increased risks of skin cancer from the ultraviolet (UV) radiation in the light. Frequent clients of tanning salons cite a variety of reasons for visiting so often, some of which indicate psychological disorders. For example, extreme tanners may suffer from a form of body dysmorphic disorder (BDD) and perceive their skin as unacceptably pale no matter how tan they get. More common, however, is the claim that reclining on a tanning bed is their only chance for undisturbed relaxation and that tanning indoors provides stress release. Researchers Catherine Mosher and Sharon Danoff-Burg published the results of their study about the use of tanning beds among college students from a northeastern school in the April 2010 issue of Archives of Dermatology. Of the 429 students surveyed, more than half (229 students) reported tanning indoors, and more than a third of those 229 students met the criteria for addiction on standard psychological screening tests. Seventy-eight percent of these "tanning addicts" confessed that they had tried to stop tanning and couldn't; nearly a quarter admitted they had missed a class or a social function just to go to a tanning salon. Mandeep Kaur led a team of doctors in a study of how ultraviolet light itself—the spectrum of light that actually tans skin—might contribute to a tanning addiction. The report in the April 2006 issue of the Journal of the American Academy of Dermatology argues that UV light triggers the production of endorphins in the brain. Endorphins are neurotransmitters that positively influence mood and cause a person to feel relaxed and enjoy a state of well-being. Long exercise sessions are one way to release endorphins into the brain (think of the phenomenon known as "runner's high"); an indoor tanning session is another. Tanning addicts may first patronize a salon to prepare their skin for a vacation or a formal event, but then return again and again for psychological and chemical benefits. In an April 20, 2010, article in the Los Angeles Times, Steven Feldman, senior author of the Kaur study, compared a session in a tanning bed to getting a small narcotic hit. Self-tanning sprays and lotions turn skin the same color, but they provide no more "kick" than applying hand cream. 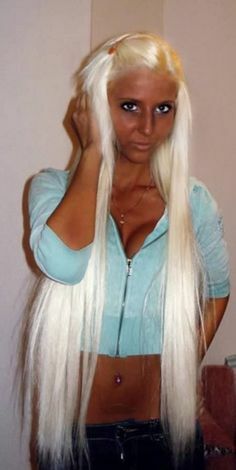 In the end, the tan itself is just a side effect. Going to college can be a stressful experience, and the long winters in some climates can be depressing. Tanning salons are relatively cheap and within easy reach of campus, and a visit can promise a quiet interlude in a busy day. Students who turn to tanning as a quick pick-me-up rarely intend to become addicted to the experience, but some become dependent on it despite their knowledge of the risks of cancer. What starts as a harmless activity can turn into a disruptive, dangerous habit with long-term, life-threatening consequences. The following chapter examines other risky activities college students engage in and explores the extent to which these behaviors are destructive and their prevalence in campus society. "Preface to 'Do College Students Engage in Risky Behaviors?'." Student Life. Detroit: Greenhaven Press, 2011. Opposing Viewpoints. Opposing Viewpoints in Context. Web. 17 Mar. 2016.